Present but transparent! Our interpreters' motto reflects the purpose of our role in seminars and conventions; in fact, to be successful, simultaneous translation should go unnoticed by its users who hear only the speakers' message. Adaptability and flexibility! Because every customer has different specific needs, our teams of simultaneous translators are able to adapt to all situations, planned or unexpected, regardless of the venue, the topics, the equipment or the country. Versatility and synergy! Every team is accompanied by a supervisor who makes certain everything will go without a hitch, anticipating customers' needs in synergy with the organizer: we view our work as cooperation with our customers, to attain a common goal: the event's success! Quality and selection! 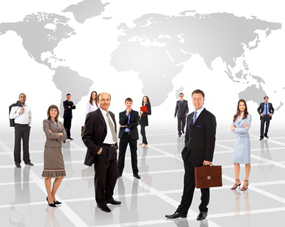 Every interpreter has the necessary experience and specific distinctive qualities. Our role is to select the interpreter best suited to each assignment: simultaneous, consecutive or liaison translation, for non-governmental organizations, governments, scientific and medical institutions, meetings, etc. These values are what makes our agency world famous: quality and adaptability! ATTIC : votre référence en traduction simultanée depuis 1989 !